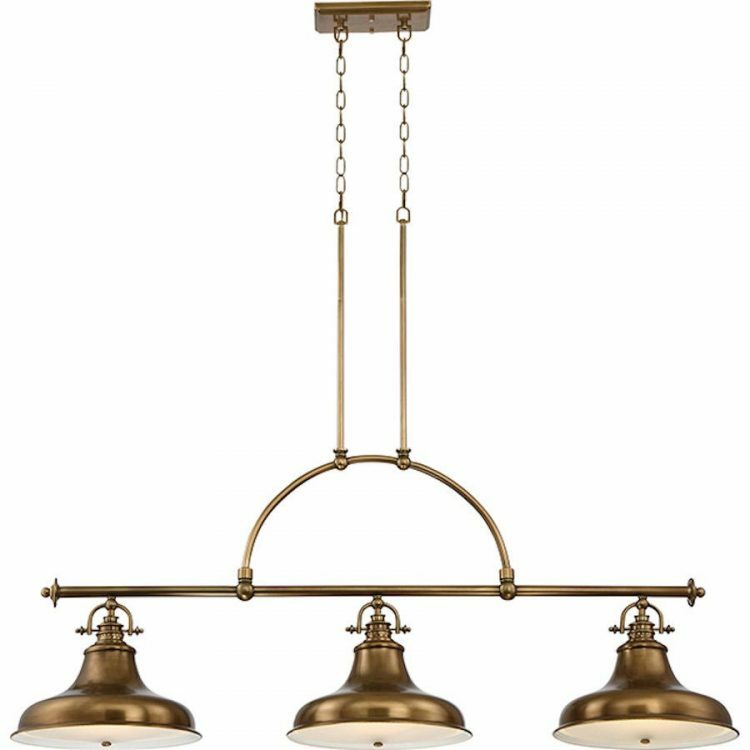 This Quoizel Emery 3 light weathered brass industrial island pendant with lower mounted ribbed diffusers is detailed and attractive. It will look fantastic in any kitchen, hallway, or dining room. 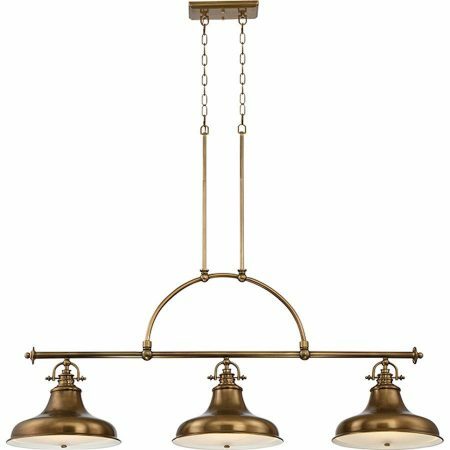 With a rectangular ceiling plate finished in soft brass, two short chains and a pair of height adjustable drop rods attached to an arched arm. A straight bar supports three wide domed metal shades held in place with a stirrup attached by detailed thumb screws. Each shade is fitted with a lower ridged diffuser to reduce glare and diffuse the light. The Emery 3 light weathered brass industrial island pendant with lower mounted ribbed diffusers is designed by Quoizel, founded in 1930 in New York. They relocated to Charleston in 1996 where they remain to this day. They remain a privately held, family-owned and operated business. Quoizel products are now being introduced to the UK market and have quickly built a reputation for their diverse, unique and fresh designs.